On Dec. 4, Bishop Jimmy Nunn will conclude a series of district conferences — his first such meetings as Oklahoma’s new bishop. He will meet with the people of Cimarron District at 4 p.m. in Woodward, at First UMC. The deadline is Dec. 15 to update your church’s officers in the Conference database. Don’t forget to make changes by that date in names and contact information for your church’s leadership, to ensure the best communication to accomplish our work in Oklahoma. Accuracy is vital to United Methodist connections. The link is www.okumc.org/dashboard. Put the start date for any new leaders as Jan. 1, 2017. This task is key for each new calendar year, although you can update such information at any time. Churches with average worship attendance of 50 or fewer people can apply for financial help on special projects through the Marjorie Van Sickle Small Rural Church Fund. A Board of Laity team reviews requests and sends selections to the bishop and Cabinet for approval. The 2016 grant recipient was Waynoka UMC. Bishop Grant Hagiya of the California-Pacific Conference told 750 church leaders — including some Oklahomans — attending the Council of Bishops’ Extended Cabinet Summit to lead with courage for the sake of the future of the Church. Jan. 17 is the date for the first Orders Meeting with Bishop Jimmy Nunn preaching. All active clergy are expected to attend. The session will be at OKC-St. Luke’s. The Environmental Coalition of the Board of Church and Society continues presentations for church and community groups of the program "Changes in Nature and What To Do About It." One recent session was set for the adult Sunday school classes at Fort Gibson-First UMC. Jane Wheeler and Pat Hoerth co-chair the coalition. They both attend OKC-Mosaic UMC. Hoerth, who also is a United Methodist deaconess, said the program "helps people reflect on why we care about creation and how to take practical steps that allow all life on the planet to flourish." She explained, "We touch on the Natural World parts of the UM Social Principles, help people recall the times in nature when they felt close to God and were in wonder at creation, and offer ways that individuals and churches can cut their carbon footprint." The program’s length can accommodate a group’s needs. Presentations have been made at Pauls Valley-First UMC, Tulsa-Boston Avenue UMC, PTO women’s club in Yukon, City of Pawnee public forums, and a women’s philanthropic group in Anadarko, among others. While many United Methodist leaders offered prayers and messages of unity after the U.S. presidential election, others called on Christians to hold leaders accountable and take action against hate. "In his acceptance speech, U.S. President-elect Donald Trump promised to unify the country ... And it is the job of citizens of the United States, particularly those who call ourselves Christians, to hold him to this promise," said a statement by the United Methodist General Commission on Religion and Race, reported by United Methodist News Service on Nov. 16. In a statement issued Nov. 14, Susan Henry-Crowe, top executive of the General Board of Church and Society, said her agency had received, directly and indirectly, reports of incidents of violence and abuse over the past week. Harriett Jane Olson, United Methodist Women top executive, urged members to reach out to each other and listen to those with different ideas. The Mississippi Conference Advocacy Committee led a post-election healing and Communion service on the steps of that state Capitol in Jackson. Tuition and fees at United Methodist-affiliated Oklahoma City University will not increase for the 2017-18 academic year, OCU President Robert Henry has announced. "We understand the positive impact that financial flexibility has on our students and families, and are pleased to be able to keep tuition and fees flat next year," he said. OCU is ranked as one of the "100 Best College Buys," listed among "American’s Best Christian Colleges," listed in the top tier of regional master’s-level universities by U.S. News and World Report, recognized as one of the "Best Values in Colleges" by Kiplinger’s, and among the Princeton Review’s "Best Regional Colleges" for the Western Region. Interpreter connects you to the global United Methodist Church. 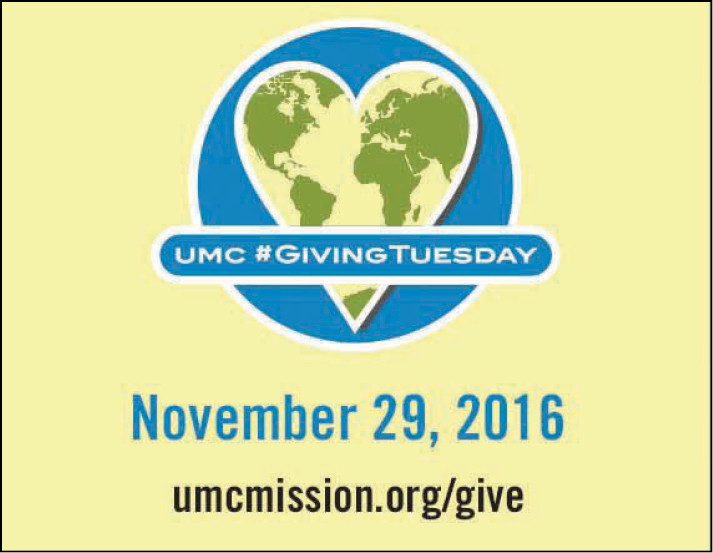 You’ll find stories of the powerful ways God is changing lives through the people called United Methodist. 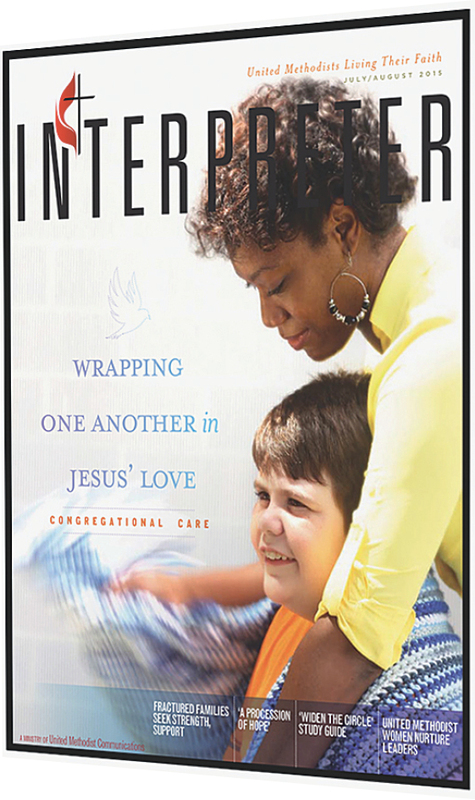 With popular sections like "It Worked for Us," "We asked …; you said … ," "IdeaMart," "Technology," and "I am United Methodist," Interpreter pairs practical information with inspirational features to support you on your spiritual journey. Join thousands of United Methodists who subscribe and receive five free print and unlimited digital issues for your church or ministry provided through the World Service Fund. Your subscription awaits.